March 23rd 2017 should have been a joyous moment for Jason Quigley. Having outclassed and out pointed the tough Glen Tapia over 10 rounds to pick up his first professional title, the 26 year old should have been plotting his route to the next belt around his waist. But there was a problem. The same hands that had helped him capture the NABF middleweight title were showing signs of damage; specifically the right hand. A ’one in ten million’ injury occurred, which has meant that a full year has passed since the chirpy Irishman has been able to carry on up the rankings. Whereas some may be downbeat about it, there is no sense of sadness when speaking to Donegal. Instead of sulking, he has been busy. A change of training camp has seen him uproot his Los Angeles base and make the trip to Sheffield, where he is now coached by renowned Trainer Dominic Ingle. Quigley was already a dangerous man. 10 stoppages from 13 fights can attest to that and with a right hand now fully recovered, it’s time to get back onto the title path. It starts on Saturday 31st March out in Quincy, Massachusetts, where Quigley will return in an eight round fight against Puerto Rico’s Daniel Rosario Cruz. So how has the damaged hand been through the first full training camp since it occurred? Although no doubt there will be an element of doubt when the head guards are no longer on, the smaller gloves are strapped up and the bell goes, but for now the plan appears simple. Fight like there is no problem. It will be the first time that Quigley has been cornered for a fight by Dominic Ingle. 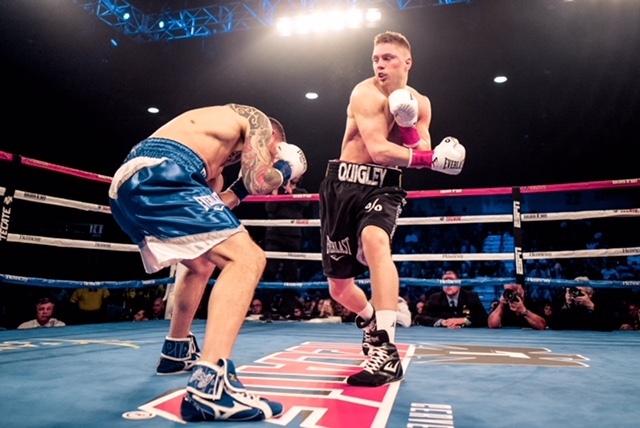 Quigley recounts how he has always admired the gym from afar, tells me how when he fought on the undercard of Kell Brook’s successful challenge for a world title in Los Angeles, the relationship between the Sheffield fighter and his trainer has stayed with him. In the short period of time that Quigley has had to work with the Ingle camp, he has been impressed by the thoroughness of his new trainer and the hands on approach taken. The plan is for Jason to fly to America seven days prior to his fight, Dominic to follow shortly after. The importance of their first fight together means it is imperative they get optimum preparation time. It isn’t easy though; a bustling gym with the likes of Kell Brook, Billy Joe Saunders and Atif Shafiq means that the workload has to be balanced finely. For Quigley though, he sees the local competition as only being a positive. The culture shift for Quigley has been significant in his move to Sheffield. It now means that he has three bases; Sheffield, back home in Ireland and out in America where his Promoters Golden Boy are based. Again, Quigley can only see the positive in it. 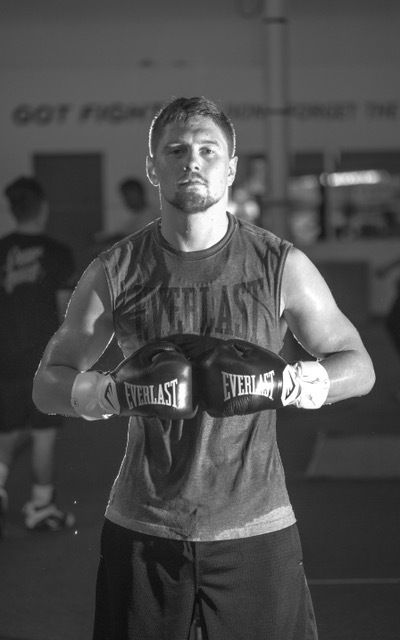 Given that Golden Boy has earmarked him as a star for the future and made sure he is active on their American shows, is there a risk that the Donegal boxer could sour his relationship by being so far away during training camps? “Not one bit. Golden Boy was more than supportive of my move and the relationship with Golden Boy is unbelievable, also with my Management team Sheer Sport, the team that I have around me. We all get on so well and that’s very important” Quigley enthuses. He laughs as he recalls his initial encounter with majority owner of the Promotional company, former six weight world champion Oscar De La Hoya. The starstruck boxer is now gone, as Quigley talks fondly of how De La Hoya is now a friend as much as a boss. It is with his guidance that Quigley is hoping 2018 can be his breakout year. He still sees there is unfinished business with the NABF belt. For now though, Saturday 31st March is the focus. Quigley is looking forward to what he hopes will be a homecoming overseas, anticipating the Boston suburb to be a sea of green Irish support. “Boston will probably feel more at home than actual home will be because there’s that many Irish there! I think all of Donegal will be there, it’ll feel homely” he laughs. Quite where home is for Quigley at the moment may be a confusing question. But as with all things Jason Quigley related, what some may see as a dilution or a negative, he sees as only bringing a positive. It is this mindset you suspect that has been key to the recovery of his hand and his focus on big plans for 2018. 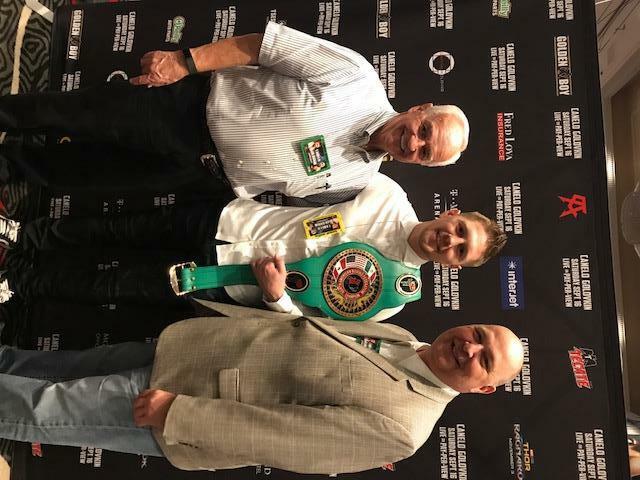 With such a stellar team around him, March 31st represents an opportunity for Jason Quigley to pick up where he left off, which can only be a positive. Jason wished to thank his sponsors, Villa Rose & Jackson Hotels and Michael McElhinneys Department Store, both of whom provide him key assistance in his boxing career.